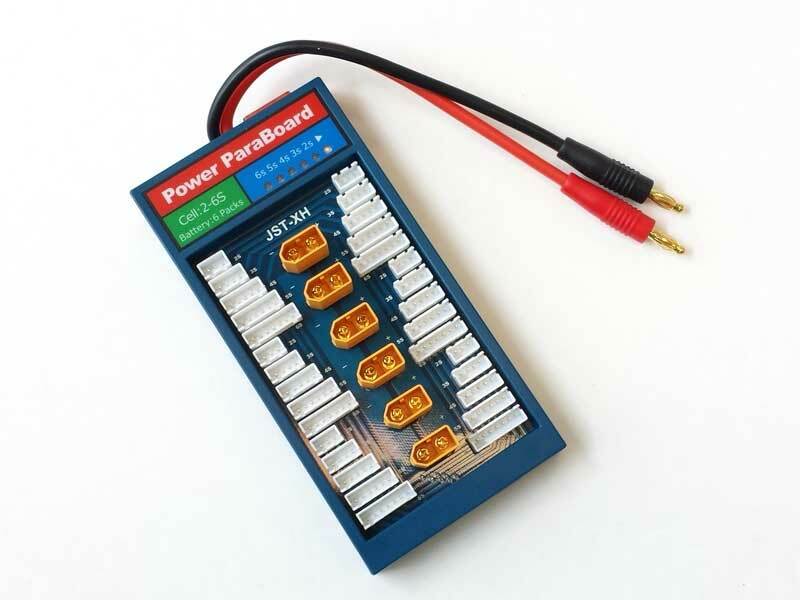 This parallel charging board allows up to 6 of the same size batteries to be charged simultaneously from a single charging port. 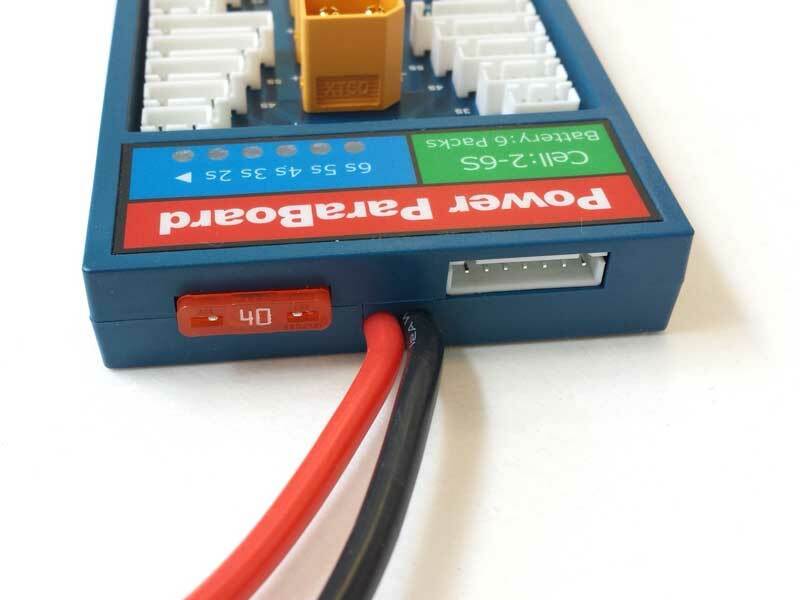 This is a beautifully designed, well built board with LED indicator showing the number of cells, a 40A replaceable fuse and an assortment of silicone lead balance extensions. 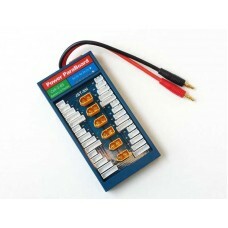 Please make sure you read up on parallel charging before using this board. 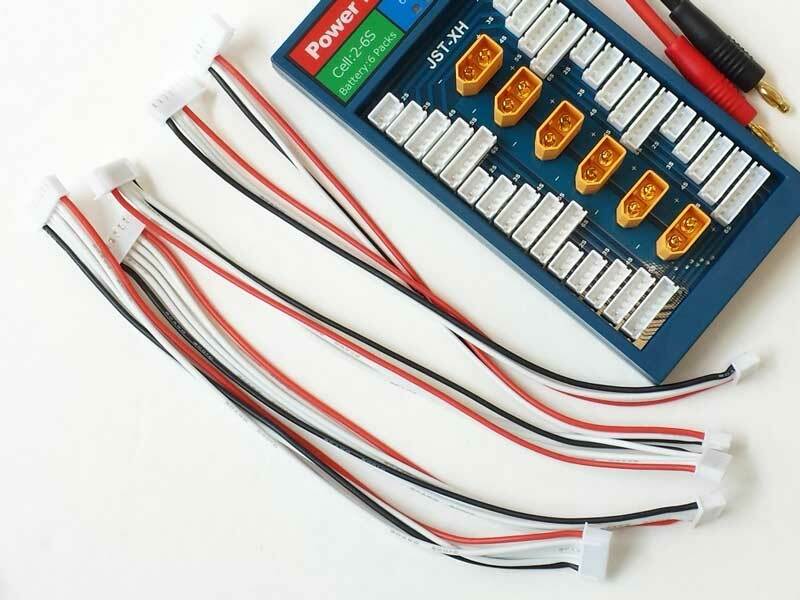 The ParaBoard is made of high quality components with a PCB made of two ounce copper. 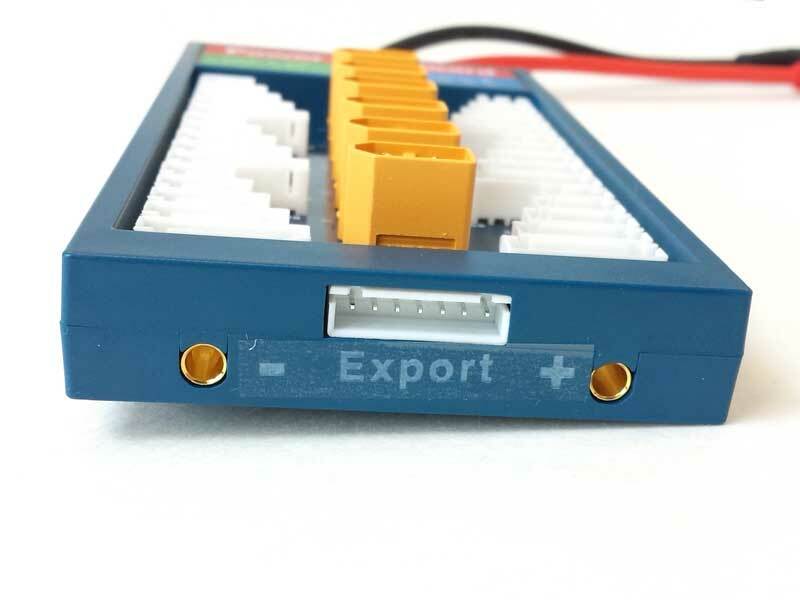 ParaBoard products have been fully tested under 25 A continuous current, and is safe to load at 35A for a short time (10 - 30 minutes).